Frank Miller doesn’t know how to make a bad series. Sin City was one which started in the early 90’s and since has been a total classic. Written and illustrated by Frank Miller all the books overlap creating one epic series of tragic relationships. The first book The Hard Goodbye followed Marv and his short lived relationship with Goldie the love of his life. the book followed Marv’s parts in the movie line for line which makes A Dame to Kill For a little more exciting as the main plot hasn’t seen a movie incarnation yet. A Dame to Kill For follows Dwight who was played by Clive Owen in the movie. He is a lonely guy trying to make it from day to day without losing it. He has a history of snap violent behaviour as most people are in Sin City. Eva talks to Dwight and asks for help telling him of the horrors she has lived with while living with her husband and Manute who was played by Michael Clarke Duncan in the movie. 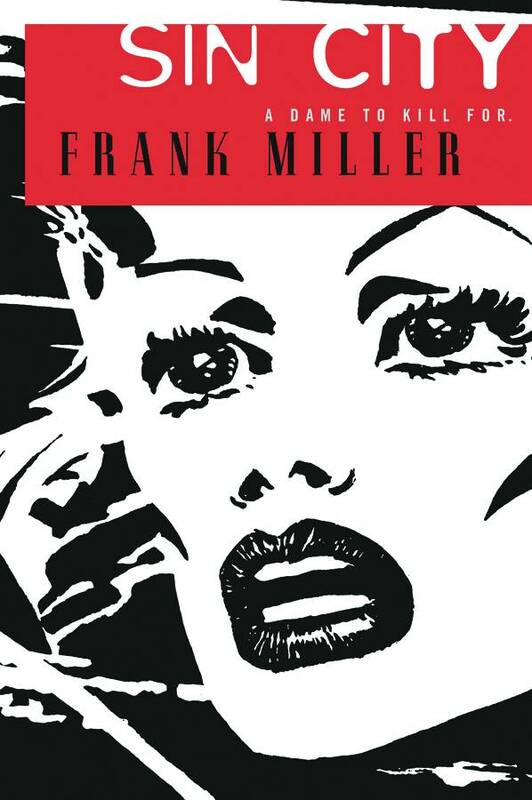 Like all of Frank Millers stories you really need to buy into the characters. When I first picked up the Sin City books I was expecting a dark world full of hate and random acts of violence between characters. But I have started noticing a running theme within the books. From A Dame to Kill For and The Hard Goodbye the running themes seem to be tragic love stories. From the first two books they show how much people will give anything for love. And how stupid people get in a bad relationship. You can see how much thought went into the books as they stories all overlap. The first half of a Dame to Kill for runs before The Hard Goodbye and the whole story of Marv and Goldie. Where as the first book was a totally tragic love story for Marv the second has a little more natural justice. Overall I can’t recommend this book enough especially if you saw the film and want to know what happens next.